Hunter Drew was having a nap Saturday afternoon after a round of golf when his phone went off. On the other end was his agent, Darrell Young, telling him he had been drafted in the sixth round by the NHL’s Anaheim Ducks. 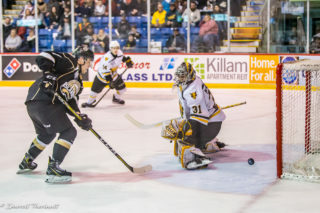 “That’s definitely the best wakeup call I’ve ever gotten,” the Charlottetown Islanders rugged defenceman joked Saturday afternoon. He immediately went downstairs to tell his mother and then phoned his father, who had a later tee-off time. 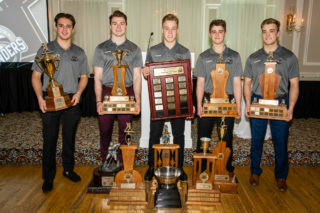 The Ducks selected Drew 178th overall at the draft in Dallas, Tex., after a season in which the Kingston, Ont., native turned plenty of heads with his player in the Quebec Major Junior Hockey League. The six-foot-one, 187-pound blue-liner, who turns 20 on Oct. 21, had eight goals and 31 assists for 39 points in 64 games this season while leading the circuit with 159 penalty minutes. Drew’s path to the NHL draft is not the norm. Drew was identified by the Isles Ontario scout, Rob Ridgley, three years ago when the blue-liner was playing junior B. Drew was going to try out for the Yarmouth Mariners of the Maritime Hockey League when Ridgley suggested he come to the Isles camp. Drew said there were no guarantees, just an opportunity to prove himself. Hulton said Drew’s size and toughness were the immediate appeals. He suited up for an exhibition game, impressed and earned his spot. He played forward and some on the back end during the early part of the 2016-17 season and when the Islanders loaded up for the 2017 playoff push, Drew was one of the guys who saw his role diminish. He was noted for being a good teammate and filling whatever role the team had for him. Drew was determined to be better his second time around. 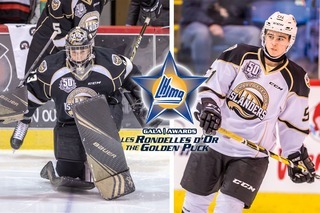 “I wasn’t too happy with the year I had my first year in Charlottetown,” he admitted. It meant working on every aspect of his game with an emphasis on his skating. 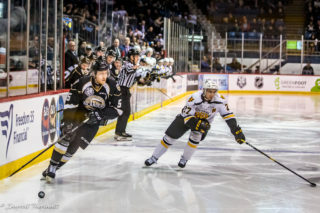 Drew came back to Charlottetown in 2017 and became a force for the Islanders as they made another semifinal appearance. “Safe to say he’s done nothing but improve since the day he came through the doors here,” Hulton said. Drew said he gained confidence by having a coaching staff trust him and is grateful for the opportunity the club provided him. After receiving the draft news, Drew said he was thinking of his supportive family, particularly his uncle, Norm Proulx, who died on Thursday. Proulx was from Kingston and had served 25 years with the navy. Drew is eligible to return as an overage player next season, but the Isles will have to wait to see how the summer and fall shakes out and where Drew fits in the Ducks plans for the 2018-19 season. He leaves for development camp Tuesday in Anaheim. 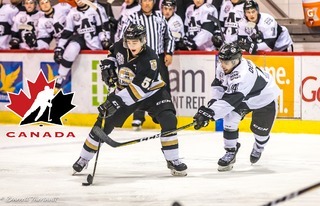 If Drew returns to Charlottetown it’s unlikely he will be playing on the wing anymore. “I think that’s probably it for me, but Jim has a couple of tricks up his sleeve, so I guess you never know,” Drew said.